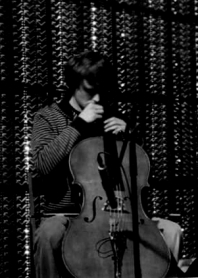 Johannes Tröndle, *1981 in Hallein (Salzburg/Austria), studied cello in Linz and musicology in Vienna, lives as a writer, musician and sound artist in Vienna. He publishes in literary journals (freibord, Lichtungen, podium, das fröhliche wohnzimmer, zeitzoo, .. ), won radio-Ö1-writing-competition 2010 & erostepost literary award 2014, got a start-scholarship for literature of austrian federal ministry 2010. He is member of Grazer Autorinnen Autorenversammlung. 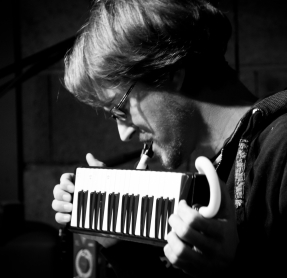 His (live-)radio-plays 'Urgroßvater' and 'Das Zeitmesser' were published in edition audiobeans (2012 & 2013). 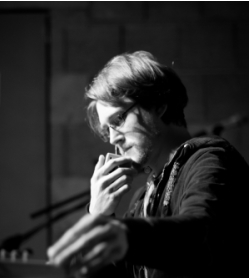 Co-founder of the electro-acoustic duos inien, nörz & acker velvet. Gave several concerts in Austria, Germany, France, Belgium, Spain, Poland, Czech Republic. Further CD-releases on schraum / Berlin (2009 + 2011) and monotype records / Warsaw (2012). 'grimms gegen duden', Ö1 Kunstradio / Literatur als Radiokunst, december 2014. In september 2016 his first poetry collection was pubished by hochroth Verlag Wien.